It is one of the most common reasons for visits to a healthcare provider and accounts for significant pain and disability. When symptoms of this disease become severe, patients are often forced to seek treatment. Medications, therapy, and injections all have a role in the treatment of degenerative arthritis of the knee. However, for some people, these treatments are either not effective or lose effectiveness over time. Ultimately, many people become candidates for knee replacement surgery. Knee replacement has been proven to be a safe, effective, and durable solution to the pain and disability people suffer from when they have severe degenerative disease of the knee. However, many people decline to seek a knee replacement fearing a long and painful recovery. Additionally, there are some patients who do not have their expectations fulfilled by the operation. So, despite its success, many patients choose to live with the limitations of their knee rather than undergo knee replacement surgery. OrthoSensor VERASENSE Overview: Benefits of Sensor-Assisted Knee Replacement Surgery from OrthoSensor, Inc. on Vimeo. Dr. Gordon has a keen awareness of this issue and is always seeking ways to make knee replacement a better operation. He understands that some very subtle things have an impact on a patient's recovery following knee replacement surgery. Dr. Gordon's primary goal with knee replacement is A SATISFIED PATIENT! He achieves that goal by using less invasive, modern surgical techniques with the specific goal to allow patients to recover quickly, and yet have a well-functioning durable knee for many years into the future. Dr. Gordon does not compromise quality for recovery, but aims for both. One-way to help achieve the goal is the use of advanced sensor technology in the operating room. Many surgeons use traditional techniques that rely on “feel” to get things just right with the knee. Traditionally, that has led to good outcomes, however, more recent research shows that many patients are still dissatisfied. By using technology similar to what is in a modern smart phone, he is exploring new ground in the world of knee replacement. Accelerometers and advanced sensors embedded within the instruments for a knee replacement allow Dr. Gordon to use real-time information, combined with the feel of an experienced surgeon to achieve a BALANCED KNEE. A balanced knee is one that is stable, mobile, and not painful. It is the knee of a satisfied patient. Dr. Gordon and IBJI are one of the first institutes in the country to offer patients Intelligent Orthopaedic Surgery with the VERASENSE Knee System. This innovative, surgical instrument system integrates advanced sensor, accelerometer and microelectronic technology to provide real-time data measurements of joint balance, alignment and load during total knee replacement surgery. With this data, surgeons are able to optimize the positioning of the orthopedic implant intra-operatively to improve overall implant longevity and patient outcomes. For more information on the VERASENSE Knee System and Intelligent Orthopaedic Surgery visit www.OrthoSensor.com. Knee replacement is a surgical treatment for chronic knee pain caused by severe damage from knee arthritis or injury. The most common cause of chronic knee pain is arthritis. There are three main types of arthritis, the most common form of which is Osteoarthritis. Osteoarthritis occurs as we age when the cartilage in our joints wear away, causing the bones to rub together, leading to pain and stiffness in the joints. When joint pain, swelling and stiffness limit your daily activities, and rest, medicine, and other non-invasive treatments no longer alleviate your symptoms, total knee replacement (TKR) may be a treatment option for you. The decision to have TKR should be made with your doctor after a complete orthopedic evaluation. The surgeon will also explain all risks and benefits associated with the procedure, how to prepare for knee surgery and what to expect after surgery, including knee replacement recovery time. Your surgeon first removes damaged cartilage and bone surface from the ends of your tibia and femur. 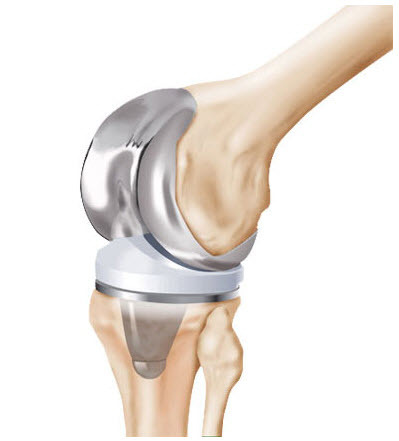 Metal implants (knee prosthesis) are used to replace the surface areas of the joint. The artificial knee may be sealed to your bone using surgical cement, or a cement-less approach may be used, involving press-fit components, which have a porous or textured surface into which bone can grow and attach to the prosthesis over time. 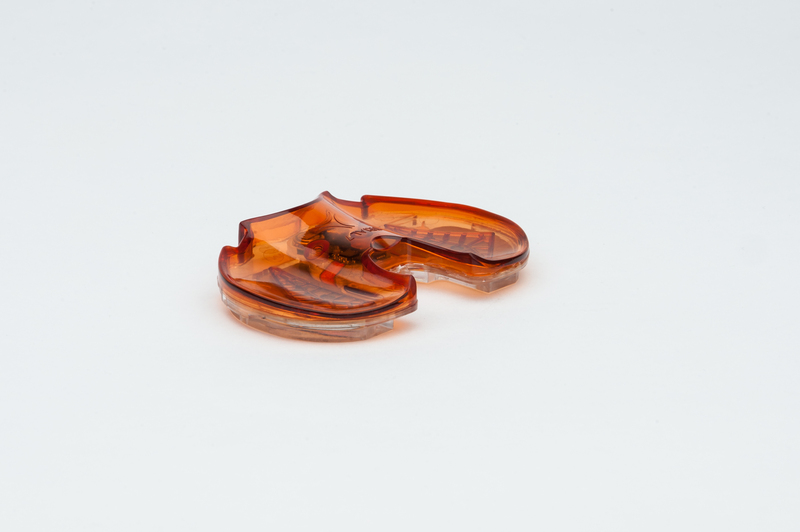 Surgeons who use VERASENSE in total knee replacement then insert this sensor technology between the metal components. As the knee is taken through the range of motion, the sensor device sends data wirelessly to a monitor in the operating room, which the surgeon uses to guide soft tissue adjustments and implant position, helping to improve knee balance. Knee balance and stability are important factors that contribute to a successful knee replacement. 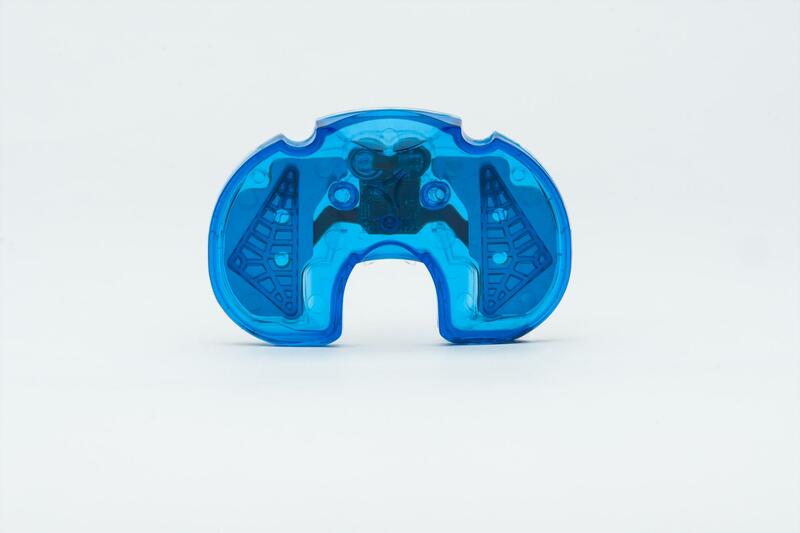 Finally, after the knee is balanced and positioned, VERASENSE is removed and replaced with a medical-grade plastic spacer to create a smooth gliding surface. Learn more about the use of sensor technology in TKR: VERASENSE Sensor-Assisted Total Knee Replacement by clicking here. 1 AAOS Website, http://www.orthoinfo.org/topic.cfm?topic=A00389, accessed August 2017. Click here to view our Patient Education brochure on VERASENSE. The doctor utilizes a disposable sensor device called VERASENSE during total knee replacement (TKR) surgery. This technology helps the doctor by providing real-time data during surgery that allows him to make important decisions to better balance your knee and customize your implant position. Improper soft tissue balance and implant position may result in premature implant failure and the need for revision surgery in the future. Before VERASENSE, surgeons used their best judgment to “feel” whether or not your knee is balanced during knee replacement. With VERASENSE, surgeons now have data that quantifies soft tissue balance, allowing them to improve knee balance more consistently from patient to patient. 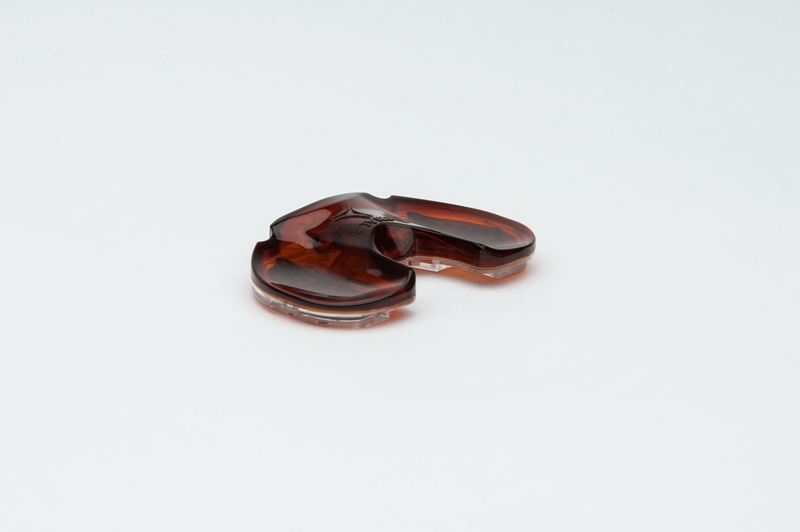 During your total knee replacement, your surgeon uses VERASENSE to replace the standard tibial trial spacer. The sensor sends data wirelessly to a monitor in the operating room, which assists your surgeon in making soft tissue adjustments and customizing implant position to improve the balance of your knee. VERASENSE may be used in both primary and revision total knee replacement. For more information about the use of VERASENSE in total knee replacement or to schedule an appointment, call (847) 375-3000. 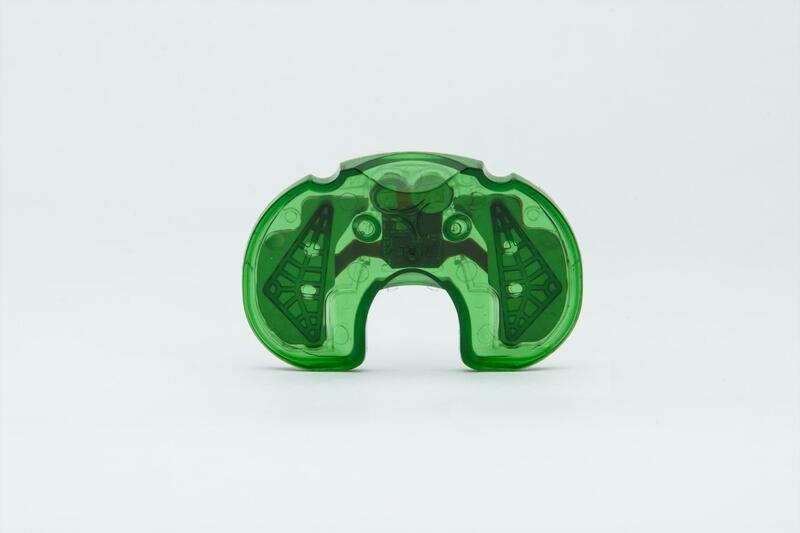 To learn more about the latest clinical outcomes using VERASENSE, visit www.OrthoSensor.com. 1 Parratte S, Pagnano MW. Instability after total knee arthroplasty. J Bone Joint Surg Am 2008; 90: 184–94. 2 Lombardi AV Jr1, Berend KR1, Adams JB1. Why knee replacements fail in 2013: patient, surgeon, or implant? Bone Joint J. 2014 Nov;96-B(11 Supple A):101-4. 3 Bozic KJ, Kurtz SM, Lau E, Ong K, Chiu V, Vail TP, Rubash HE, Berry DJ. The epidemiology of revision total knee arthroplasty in the United States. Clin Orthop Relat Res.2010; 468(1):45–51. 4 Rodriguez-Merchan, EC. Instability Following Total Knee Arthroplasty. HSS J. Oct 2011; 7(3): 273–278. 5 Gustke K, et al. Increased Patient Satisfaction After Total Knee replacement using sensor-guided technology. Bone Joint J. 2014 Oct;96-B(10):1333- 8. 6 Gustke KA, et al. Primary TKA patients with Quantifiably Balanced Soft-Tissue Achieve Significant Clinical Gains Sooner than Unbalanced Patients. Adv Orthop. 2014:628695. 7 Gustke KA, Golladay GJ, Roche MW, Elson LC, Anderson CR. A new method for defining balance: promising short-term clinical outcomes of sensor-guided TKA. J Arthroplasty 2014;29:955–960.